A Late Quartet DVD and Blu-ray release date was set for February 5, 2013. 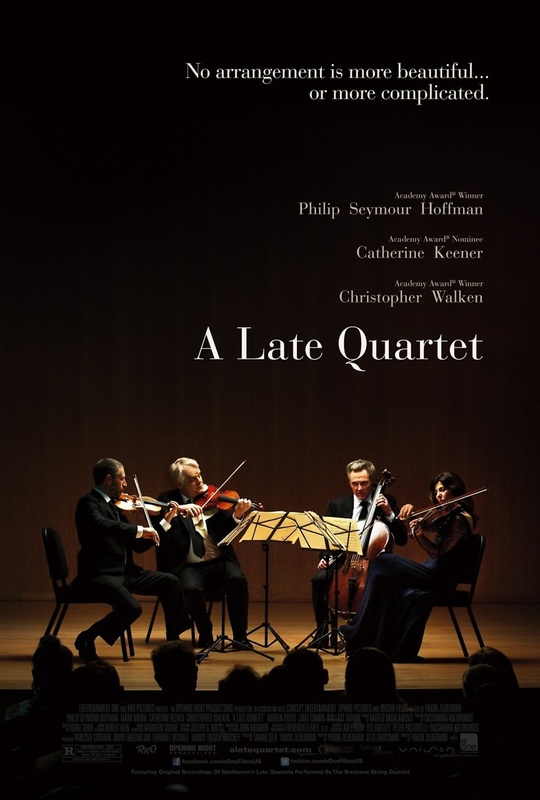 The famous Fugue Quartet has been playing together for a quarter of a century. Their seemingly seamless musical interactions, the result of many years of hard work, are broken when they discover that their cellist, Peter, has been diagnosed with Parkinson’s disease. The startling news precipitates professional and emotional crises among the four. Trying to cope with Peter’s new challenges, they begin to discover things about each other, including some secrets that would perhaps have been better kept. In the midst of this, the quartet begins to rehearse for their performance of Beethoven’s String Quartet No. 14, Op. 131. The sadness and finality of the music help Peter comes to terms with the fact that this may be his last performance.